There are few things in this world as sacred as a person’s Twitter followers. Sadly for President Barack Obama, he’s going to have to give up all 11.1 million he’s earned on the @POTUS Twitter handle when he leaves the Oval Office in January 2017. A new White House bulletin explains exactly how it plans to “preserve and pass on the digital history of the Obama administration.” In a section on social media, the report goes into extravagant detail about how a digital transition of power will occur including an explanation of how President Obama’s Twitter, Instagram, Facebook, YouTube, and even Medium accounts will be transitioned to the next US president. On Twitter, for example, the handle @POTUS will be made available to the 45th President of the United States on January 20, 2017. The account will retain its more than 11 million followers, but start with no tweets on the timeline. @POTUS44, a newly created handle maintained by NARA, will contain all of President Obama’s tweets and will be accessible to the public on Twitter as an archive of President Obama’s use of the account. In addition, President Obama’s tweets will also be archived at NARA, where they will be preserved and accessible in the same manner as all other Presidential records. You read that right: The next President of the United States will be granted access to the @POTUS handle and all of the 11.1 million followers attached to the account. They won’t have to put in any work. The account will basically be given a clean slate with a shitload of free followers, and all tweets from the account will be wiped. So, in theory, if Donald Trump wins, he will forcibly take President Obama’s Twitter followers. Or you can think of it like this: Obama will be forced to cede control of the account to his arch nemesis, Donald Trump. That’s pretty rough. This is obviously very important news for people who spend every waking hour on Twitter. After all, @POTUS has more than 11.1 million followers, which is pretty high for a politican’s account. Right now, Donald Trump’s account (@realDonaldTrump), one of the most active political accounts in the US, has has 12.8 million followers. The great part is there’s a silver lining in this whole mess. President Obama will be allowed to keep the 78.5 million followers attached to his personal account (@Barack Obama) no matter what happens. 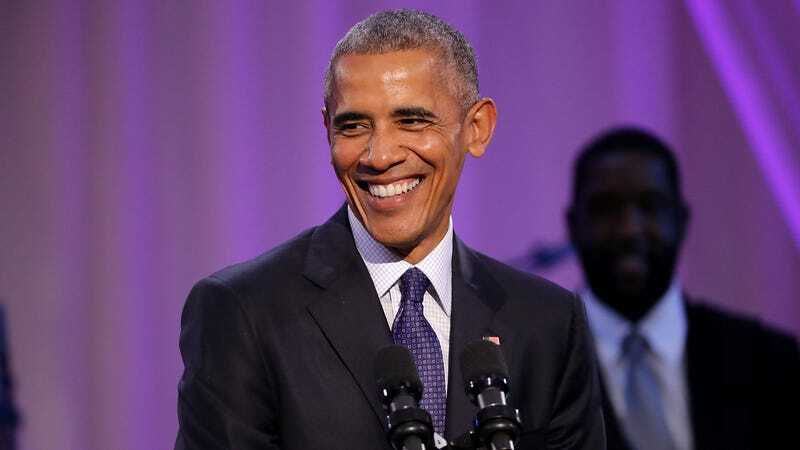 The whopping 78 million followers makes Obama the fourth-most popular Twitter account on the web, behind Taylor Swift (81 million), Justin Bieber (89 million), and Katy Perry (93 million). So if Trump becomes the next US president, at least we know he’ll still be losing the Twitter popularity contest to Barack Obama and three insufferable pop stars.